Arkhills Spain Slope (アークヒルズスペイン坂) is a street leading to Spanish Embassy. 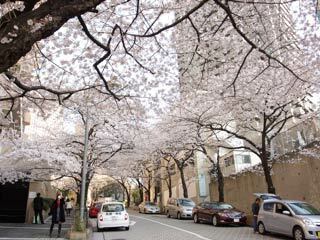 It is also famous for its Sakura Avenue. In early April, there are beautiful Sakura Flowers which make the tunnel of Sakura. Also, at night, it offers nice light-up Sakura. No Hanami party, no parking and no restroom.